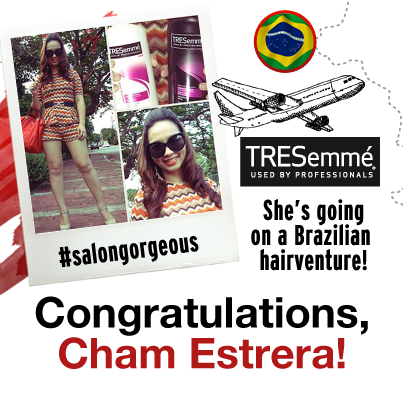 ChaMike with a Sumo Wrestler! 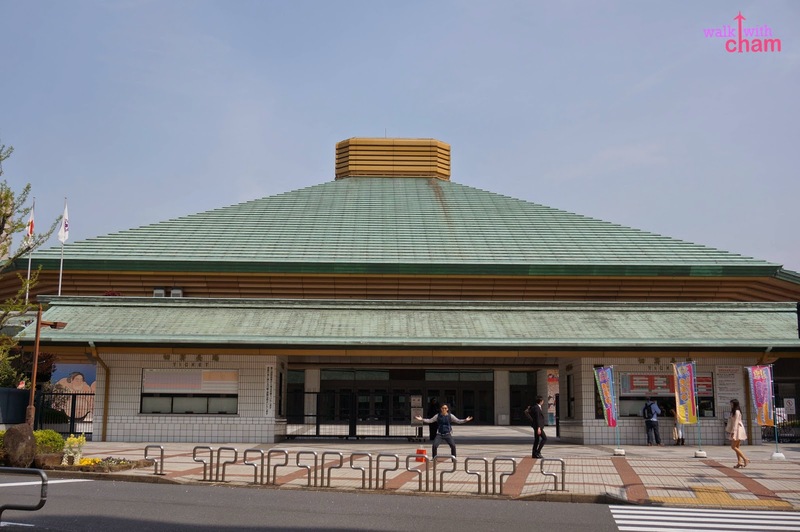 Ryogoku is a district in Tokyo that is known to be a sumo hub. 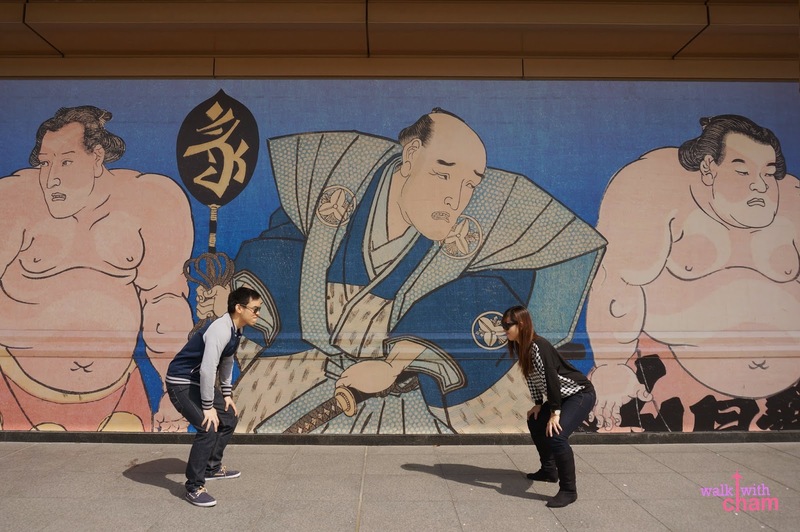 Sumo Wrestling is a sport that originated in Japan that's why Mike and I were very eager to visit the place where most of the sumo tournaments are held. 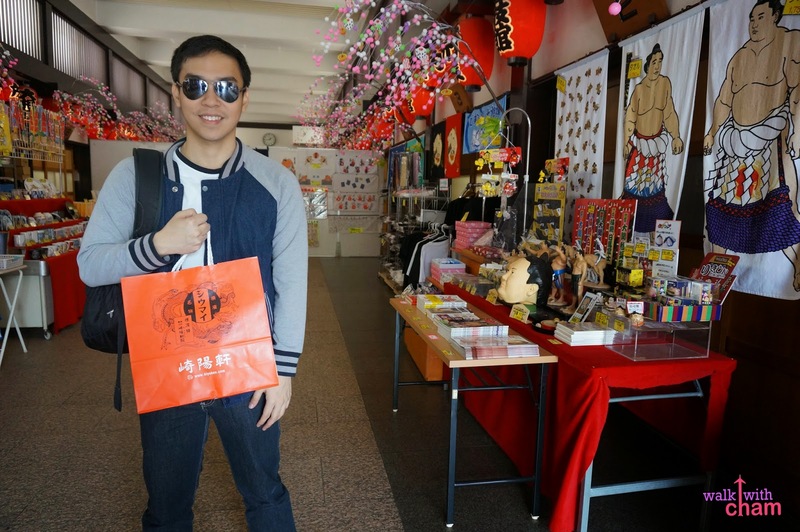 After our stroll in Asakusa, me, Mike and Twin went to Ryogoku via the JR Sobu Line. Mike and I, more than anything else wanted to watch a Sumo Wrestling fight but too bad there was no tournament when we went there. Still we opted to go to Ryogoku hoping that we can see a real-life sumo wrestler or enter the main stadium and take photos even in an empty stage. The stadium can seat over 10,000 visitors during tournaments in January, May and September. Twin said that during tournament season it is considered a big event in Japan and is watched by many Japanese fans. Because there was no tournament that time we weren't allowed to get inside the stadium (too bad! ) 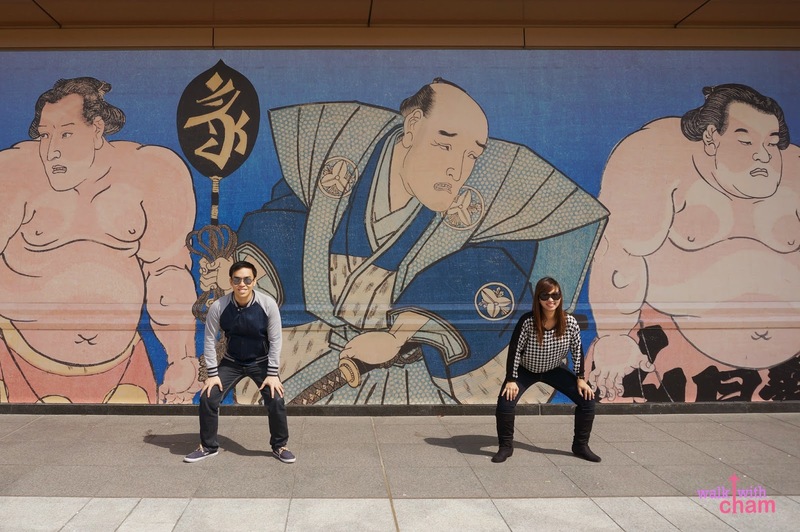 so Mike and I decided to go for a stroll around the area and took pictures of the enormous sumo murals. 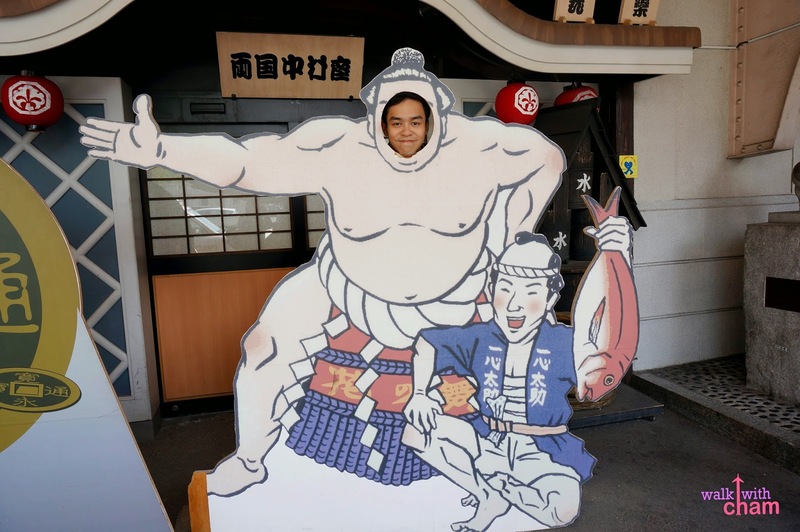 Sumo wrestlers have a strict lifestyle, they are required to live in sumo training stables, eat a certain meal, behave in a certain manner and dress accordingly. 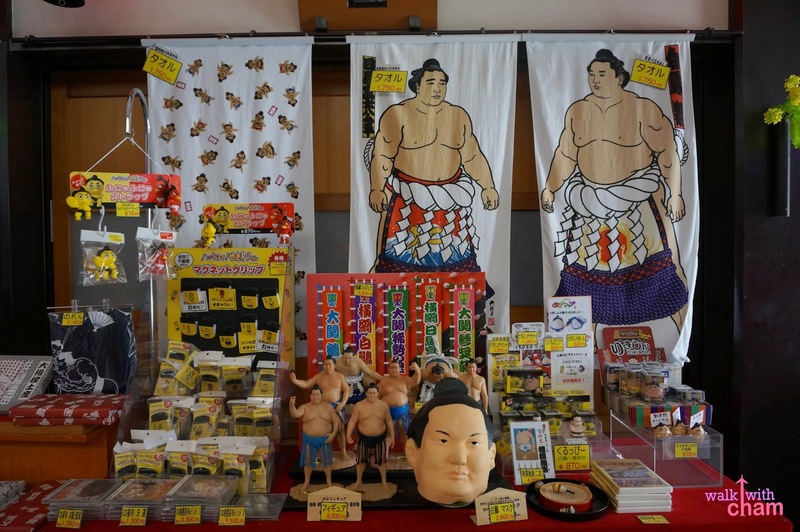 So you can just imagine my delight when I saw a sumo wrestler up close and personal. 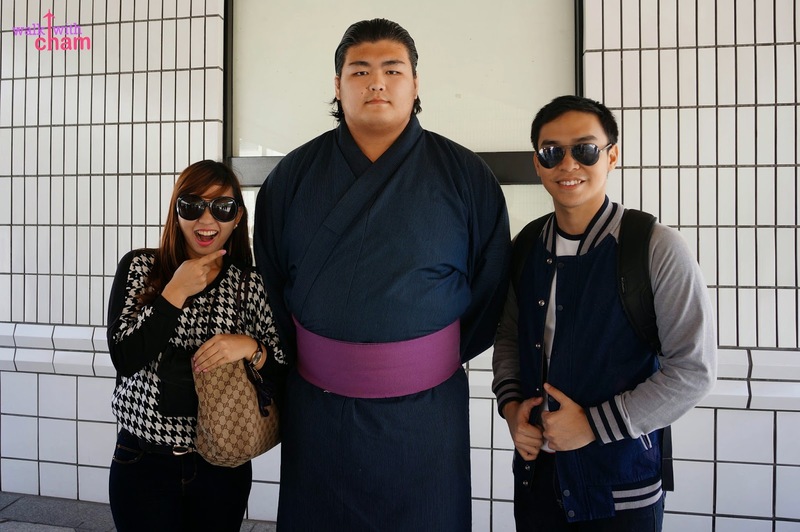 The sumo wrestler stood firm and walked like a military officer. Good thing Twin was there to ask the wrestler if it's okay to have a picture taken with him and he discreetly welcomed our request. 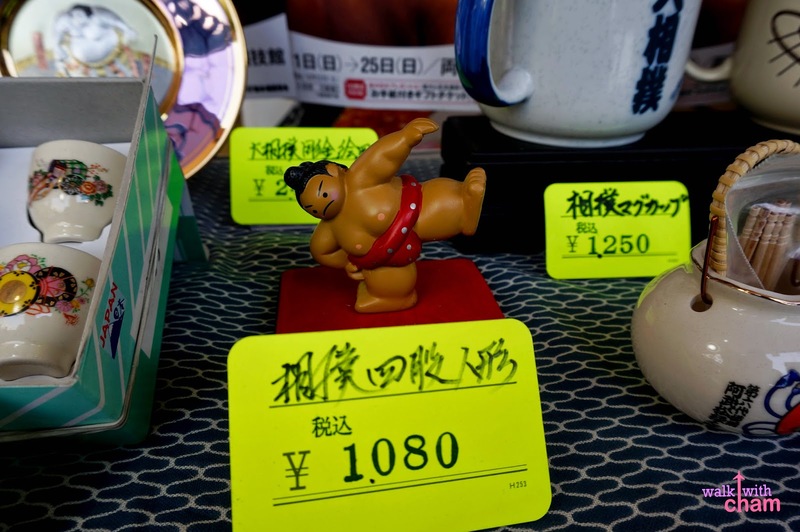 Twin said that it might be one of those young, low ranking sumo wrestlers in training because the top ranked sumo wrestlers are well known even to locals who are not even a fan of the sport. 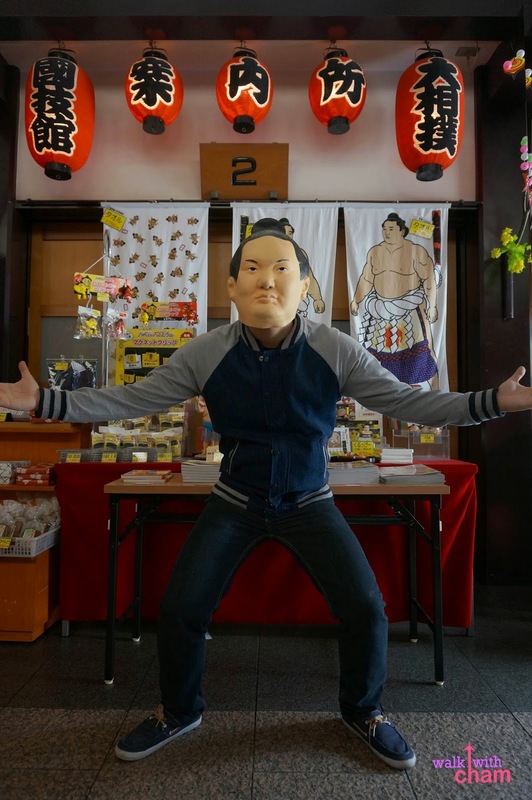 Maybe someday this guy will be a top rank sumo wrestler! 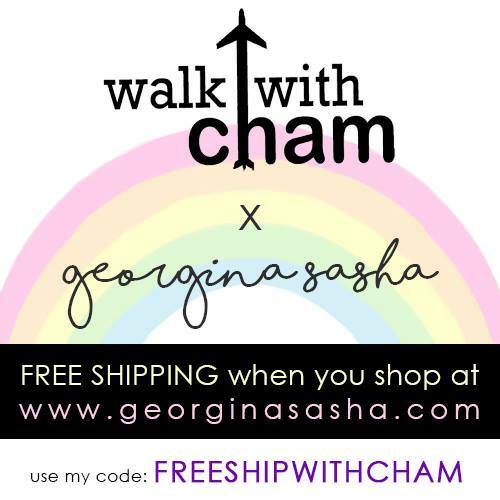 I was just so glad that I can tick it off on my Japan wishlist- hurraaah!!! 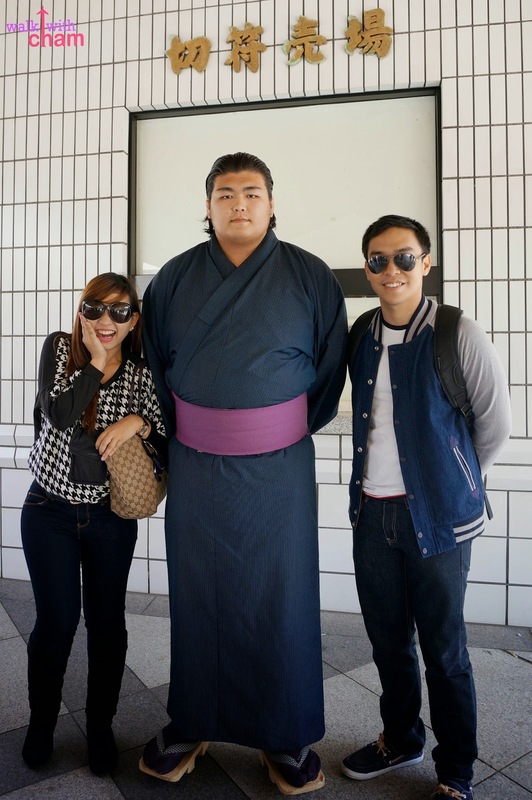 After fangirl-ing over Mr. Sumo Wrestler we checked the Sumo Museum which is also located at the stadium. Too bad picture taking is not allowed inside. 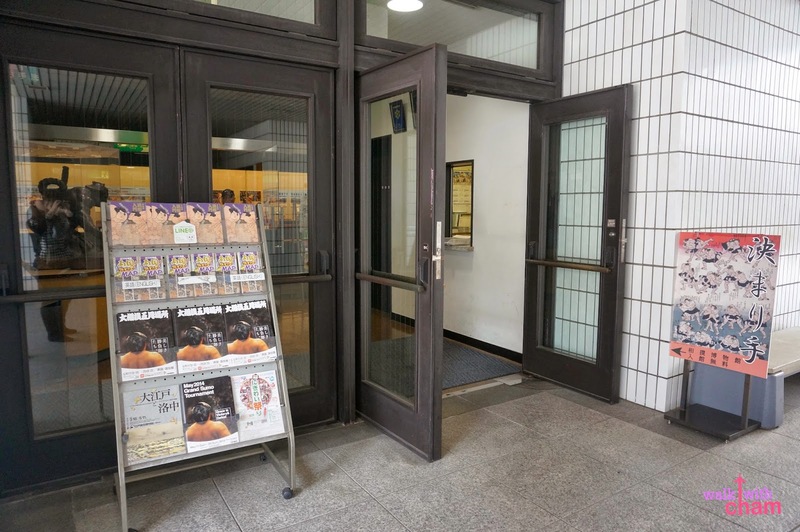 The objective of the sport is for the wrestler to force his opponent to step out of the ring and the museum explains various positions on how to do it. 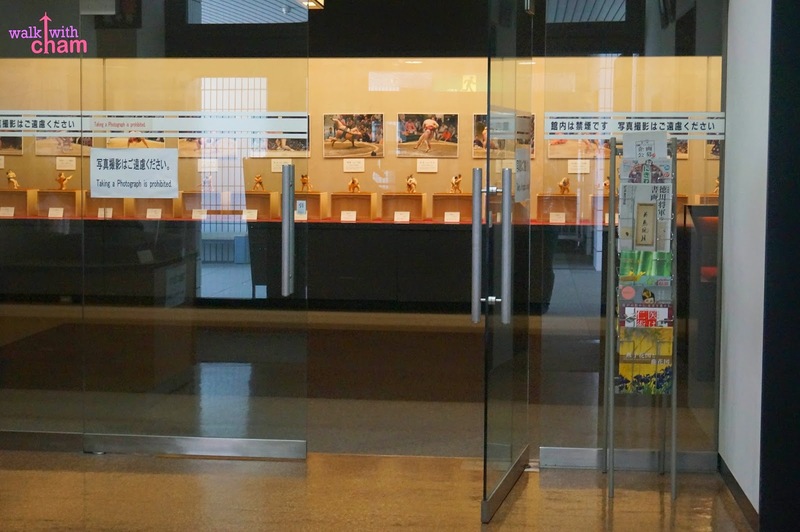 The museum also has a gallery of some of the notable fights and pictures of the top rank sumo wrestlers. The souvenir shop is Mike's fave area. 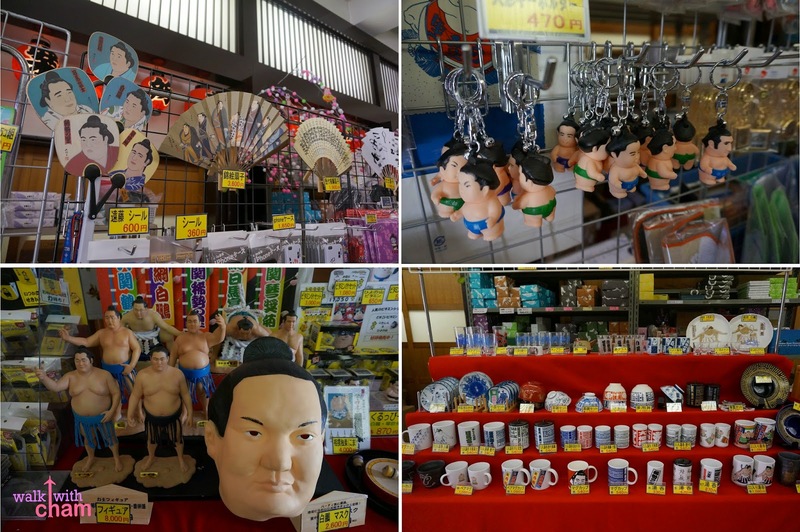 It sells all sorts of sumo goods. 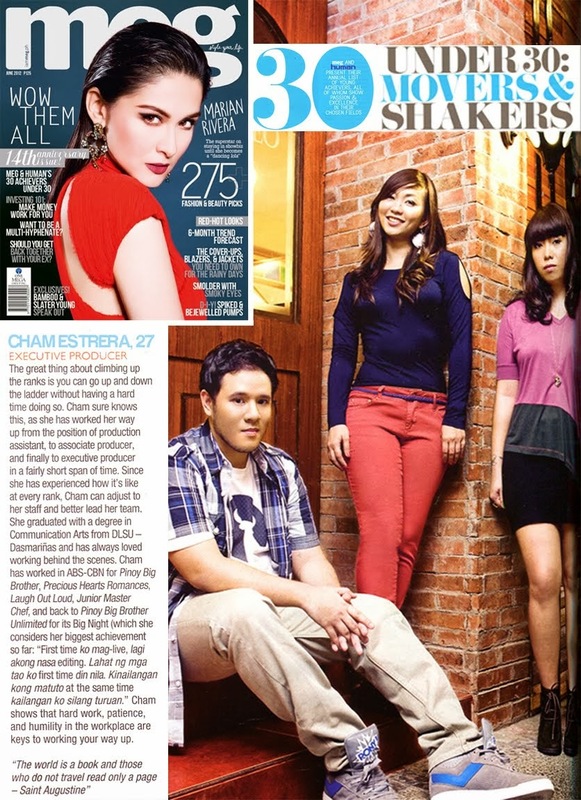 From fans, to keychains, mugs, plates, pots, action figures even masks. 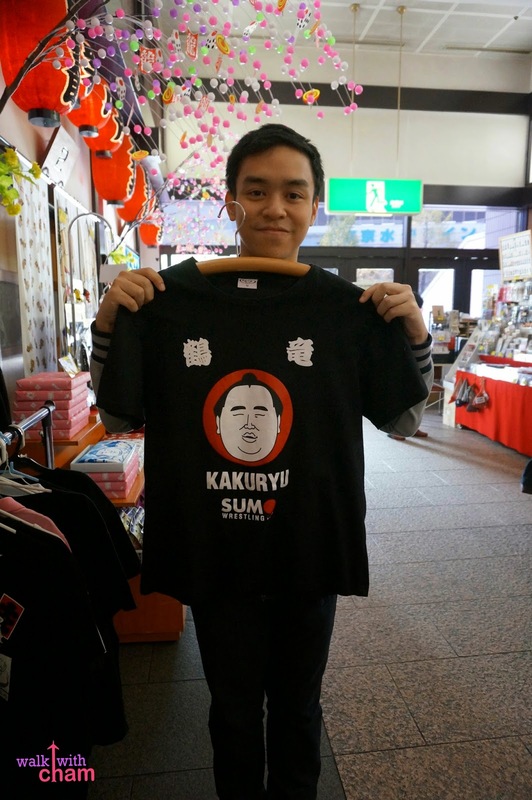 Mike even bought this sumo shirt for himself. 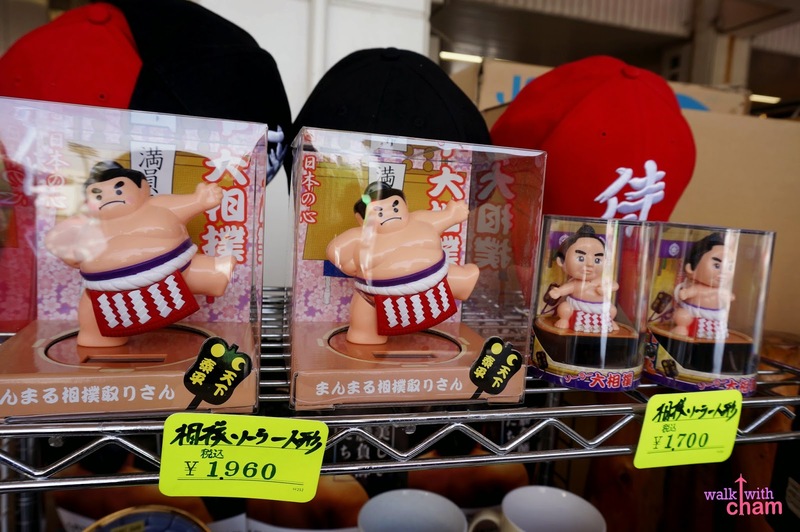 Twin said that this particular sumo wrestler is very popular and has a big following. 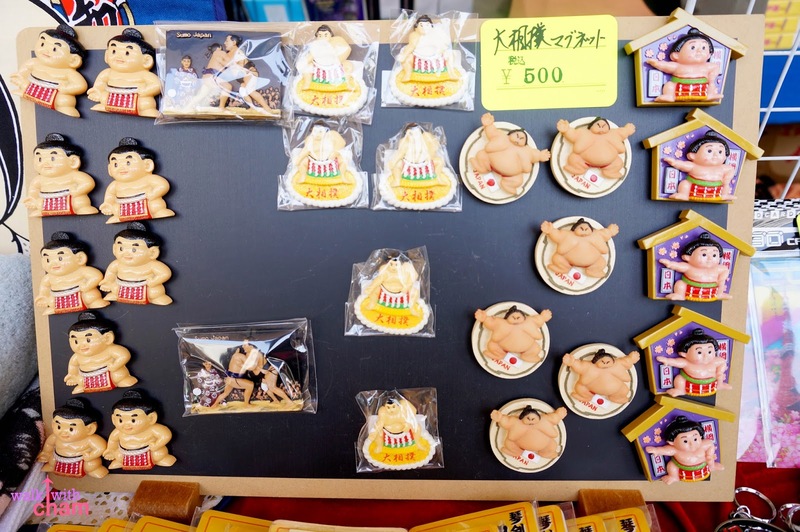 Even outside the stadium numerous Sumo themed souvenirs were sold. 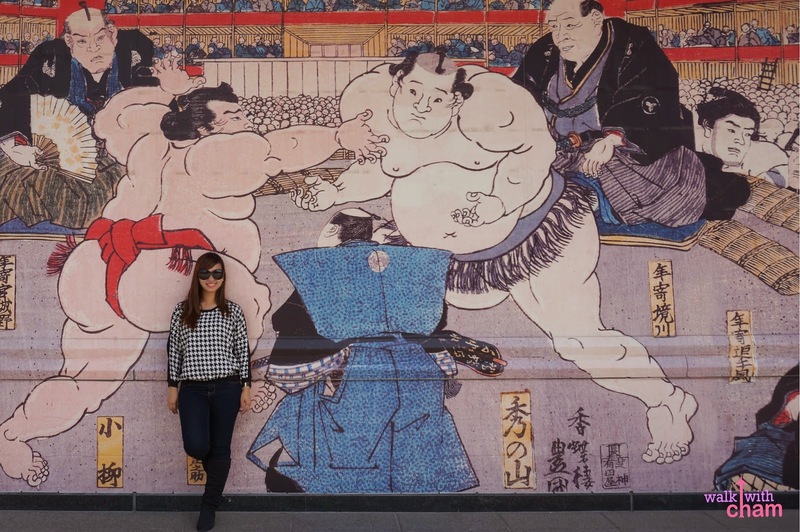 Ryogoku is definitely one for the books and going here during the Sumo tournament season is a must.